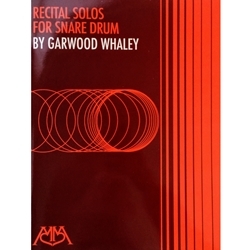 Composed by Garwood Whaley. Thirty musically challenging solos for concert or adjudication. Published by Meredith Music Publications. This piece of music is used in certain years for the Vermont All State Music Festival snare drum audition.